About Ballarat Chocolate Shoppe - The Ballarat Chocolate Shoppe was opened in 1980, being the first specialty Chocolate Shop in Ballarat. Located at 16 Doveton Street North, Ballarat Ph 03 53312945 it has the largest range of confectionary and chocolates in Ballarat. Handmade chocolates and hampers for any occasion. Ballarat Chocolate Shoppe - 16 Doveton Street North, Ballarat Ph 03 53312945 The Ballarat Chocolate Shoppe has the largest range of confectionary and chocolates in Ballarat. Handmade chocolates and hampers for any occasion. 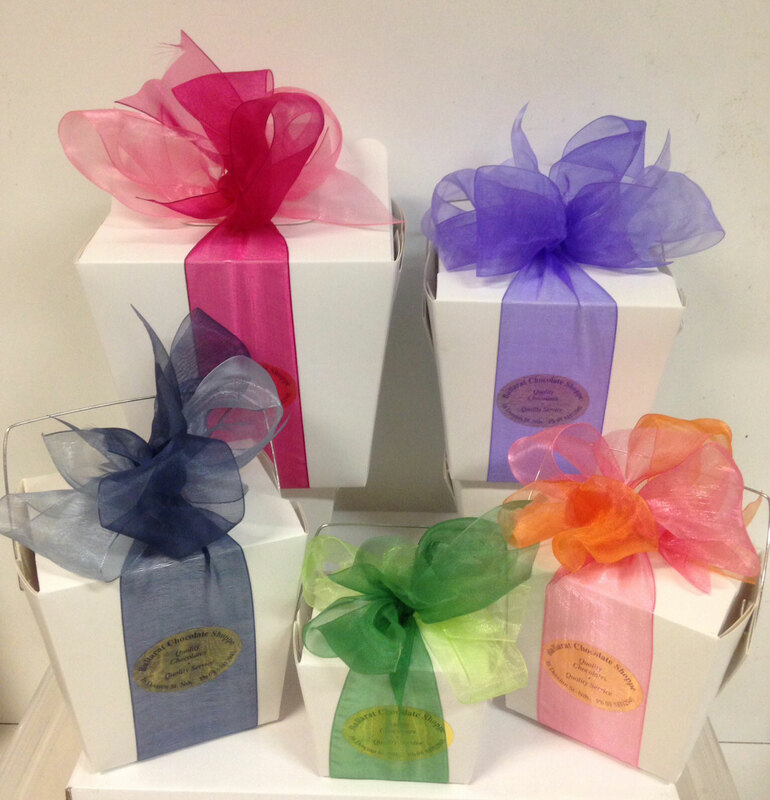 Boxes of Chocolates - Our chocolate noodle boxes are the perfect yummy gift! Order them now online. Christmas Gifts - If buying gifts for your valued staff, family and friends is too time consuming, then The Ballarat Chocolate Shoppe can solve your problems. For Christmas all it takes is one phone call and we can organise the rest. Ballarat Chocolate Shoppe - Located at 16 Doveton Street North, Ballarat Ph 03 53312945 The Ballarat Chocolate Shoppe has the largest range of confectionary and chocolates in Ballarat. Handmade chocolates and hampers for any occasion. Ballarat Corporate Gifts - At the Ballarat Chocolate Shoppe we can individually create a sensational range of gift boxes. We also have available corporate gifts perfect for any celebration and special event hampers for any occasion. 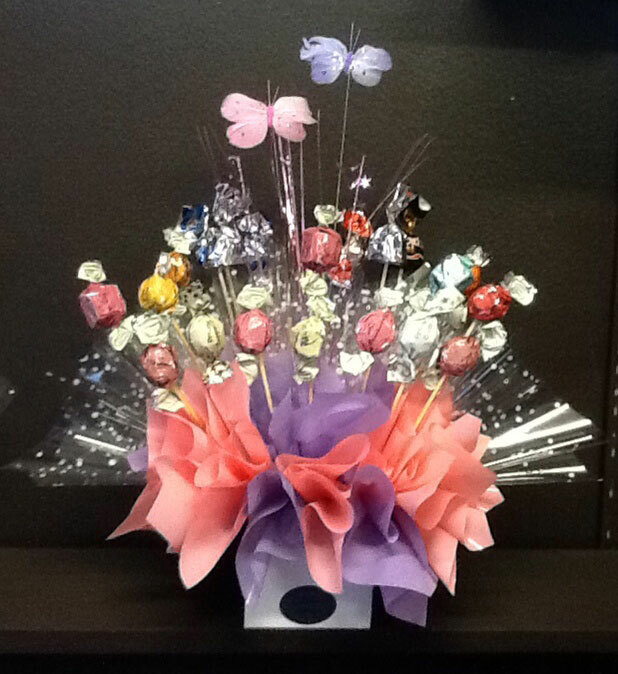 Party Accessories - The Ballarat Chocolate Shoppe has a huge range of cup cake and party accessories. We can also assist to make your next party a whole lot easier with party bags, either pre-bagged or you can choose your own. Easter eggs - Easter is a time for celebration and for some it is also about chocolate, chocolate and more chocolate!! The Ballarat Chocolate Shoppe has a huge range of Easter Eggs. Hampers - At the Ballarat Chocolate Shoppe, our range of hampers, we can also include wine, tea, jam, biscuits and Quists coffee in your hamper. Delivery in the Ballarat area is FREE! Handmade Chocolates - Spoil yourself or someone you care about. Choose from over 61 different varieties of handmade chocolates. Novelty Chocolates - The Ballarat Chocolate Shoppe has an extensive range of novelty chocolates that add a little bit of fun! Chocolate products for all ages, great for a child's party or adult celebration. Pre-Bagged Varieties - At the Ballarat Chocolate Shoppe we carry a huge selection of your everyday favourites, either pre-bagged or bagged in what ever weight you desire. With over 121 varieties to choose from, there is sure to be something that pleases even the fussiest eater. Quists Coffee - The Ballarat Chocolate Shoppe is the only stockists in Ballarat of "Quists" coffee. Come in and enjoy a chat with Helen and her friendly team. 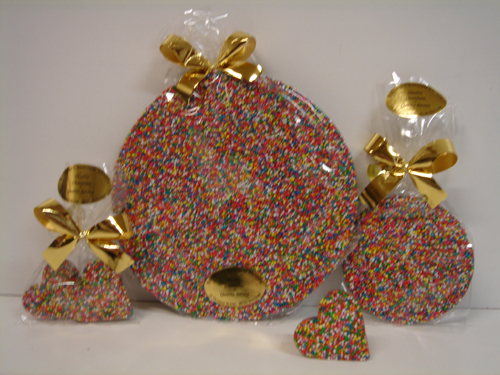 Specialty Confectionery - The Ballarat Chocolate Shoppe we have your favourite specialty confectionery like; Sovereign Hill Boiled Lolly Jars, Castlemaine Rock, Over 21 Different types of Dutch Licorice and Sugar Free Chocolate and Confectionery. Ballarat Thank You Gifts - If you want to thank someone with a special gift, like a wonderful neighbour, a special teacher or someone who walks your dog, we have a large selection for you to choose from. We can even create one just to suit you. 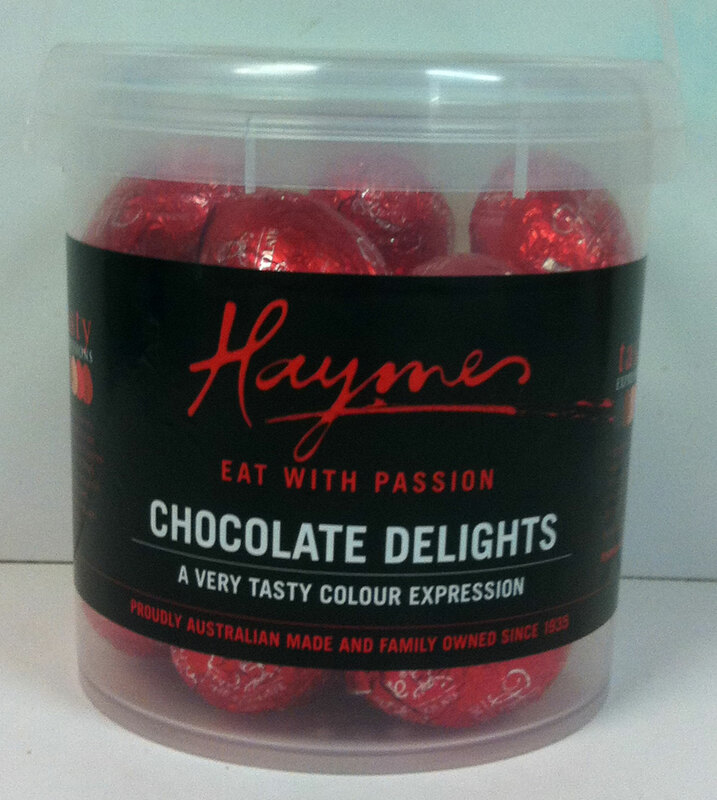 Traditional Chocolates - The Ballarat Chocolate Shoppe is stockists of: Pink Lady, Ernest Hillier, Chocolatier. Newmans, Ducto, Lindt, Thorntons, Lily Obriens, Belgium Tradition and many more tasty traditional choclates and confectionery. Lolly Wedding Buffets - The lolly buffet is not only great for weddings, but also birthdays and showers.